It’s time for the grand reveal of the car we, erm, saw yesterday. Yep, it’s the new ‘G20’ BMW 3-series, which was leaked ahead of the Paris Motor Show because people were somehow able to access the configurator. Oops. Instead of a bunch of clinical computer-generated images, though, we can now see the car from every angle via a proper set of pictures. And most importantly, we now have stacks of information to pick through. 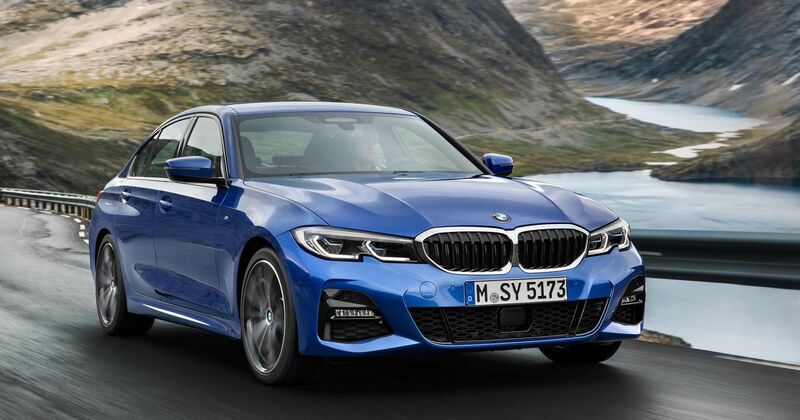 First up, we now know the 3-series has grown. It’s 76mm longer and 16mm wider than its ‘F30’ predecessor, and yet it’s 55kg lighter. A big chunk of that is made possible by a body-in-white that’s 20kg lighter, while the new aluminium bonnet and front wings shave a further 15kg. The front suspension struts and engine subframe are made from aluminium too, amounting to a 7.5kg saving. 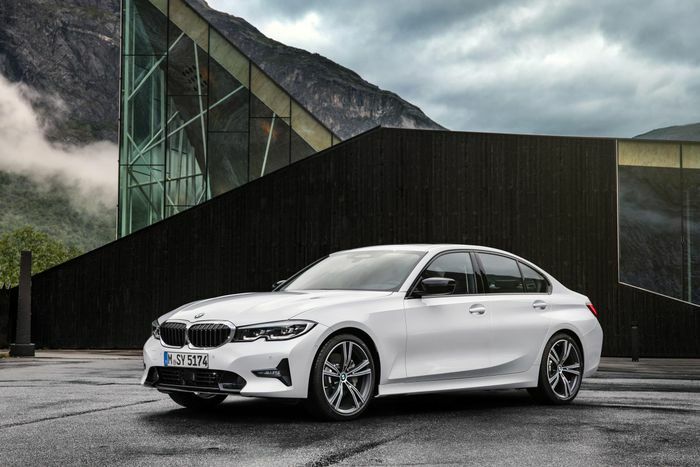 When it came to driving, the F30 was already a long way ahead of much of the competition, but BMW has had a good go at making the G20 even sharper. The front and rear track widths have been increased (by 43mm and 21mm respectively), negative camber has been increased at the front, and Munich’s engineers have stiffened both the suspension mountings and the body itself. 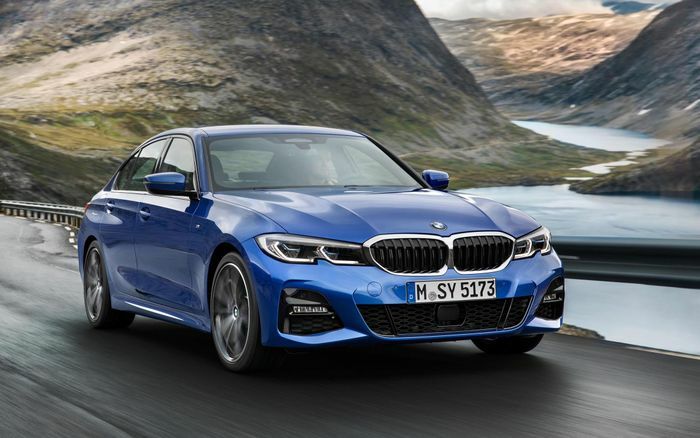 From launch, you’ll be able to choose between the 187bhp, 295lb ft 320d diesel in rear-wheel drive and ‘xDrive’ all-wheel drive forms, and the 254bhp inline-four-powered 330i (which also produces 295lb ft of torque). 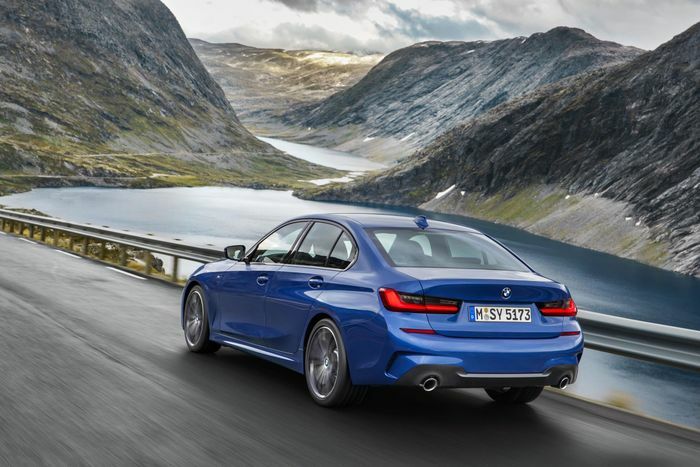 The 320d completes the 0-62mph sprint in 7.1 seconds, or 6.9 seconds if you spec xDrive. The 330i will do the same in 5.8sec. The most frugal version is the rear-drive 320d with an automatic gearbox, managing an average of 67.3mpg. The 330i still manages a reasonable 48.7mpg, though. 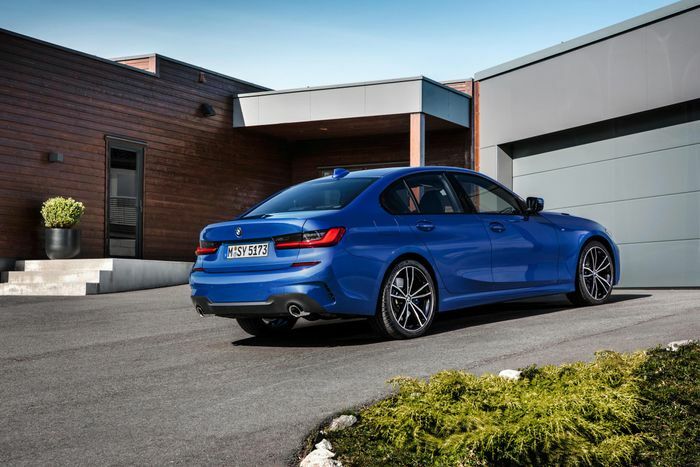 A 330e iPerformance plug-in hybrid will be joining the range eventually, as will a straight-six-powered 340i. And yes, a new M3 is on the cards too. There’s slightly more room inside, and the boot space has grown by 36 litres to a useful 480. 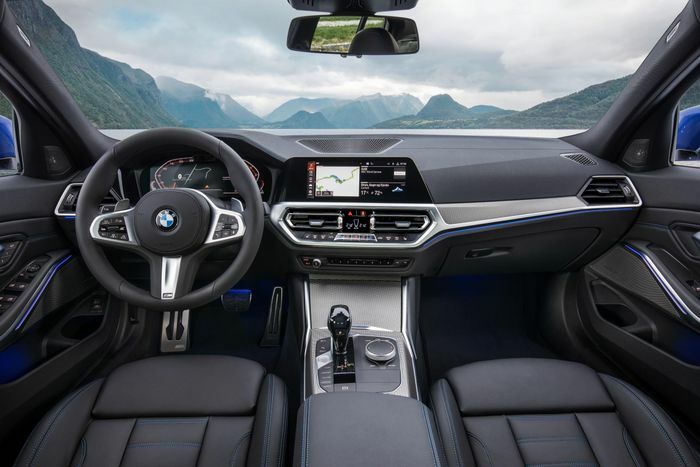 In the front of the M Sport-trimmed versions, you’ll find BMW’s new ‘Live Cockpit Professional’ system as standard, based around a 12.3-inch digital instrument cluster. There’s also a 10.3-inch central screen running the latest version of iDrive. Want one? Prices start at £33,610 for the 320d, with the cheapest 330i petrol weighing in at £37,660. Sales kick off on 9 March 2019.